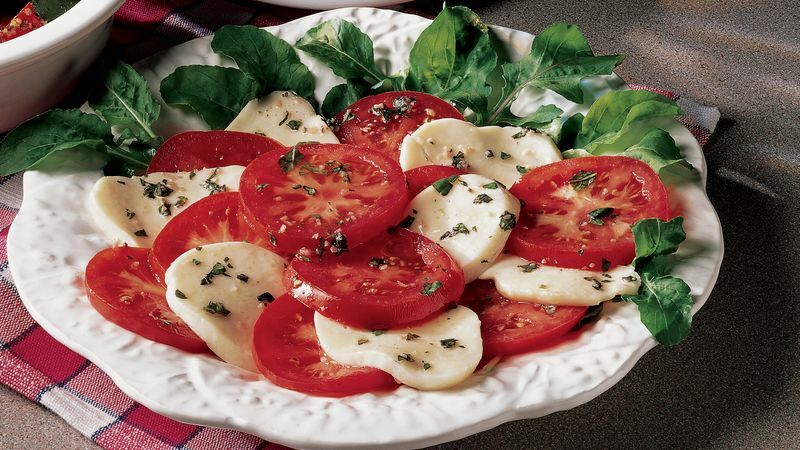 There is no denying that fresh mozzarella is enough to make any cheese lover excited. 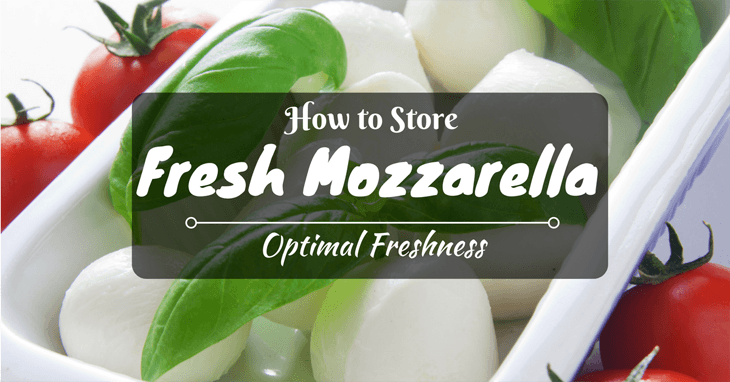 But, do you know how to store fresh mozzarella? I am here to tell you all about fresh mozzarella and the best ways to keep it as fresh as possible so that you can continue to enjoy that delicious fresh flavor for longer than ever before! Fresh mozzarella it delicious and its taste is incomparable to that of store bought mozzarella. Fresh mozzarella is traditionally made with local dairy. Historically it was made with milk from water buffalo but is most often made from cow’s milk in recent years. Fresh mozzarella is essentially a large sliceable cheese curd. Unlike most cheeses, mozzarella is not aged; in fact, fresh mozzarella is best eaten as soon as it is made, even before refrigeration. To make fresh mozzarella, the milk is first heated in a non-reactive pot with citric acid. The acid causes the milk to curdles, and whey begins to form in the pot. The hurdles will be clotted and somewhat stringy in texture. Once all of the hurdles have formed, they are removed from the pot, and the remaining liquid is squeezed out of the cheese. It is then kneaded and stretched like a taffy would be. When a desirable texture is a reached, it is formed into a ball and is ready to consume. What's the Difference in Fresh Mozzarella and Store Bought? Though, you can purchase seemingly fresh mozzarella from the supermarket and many other types of mozzarella; none of them are comparable to fresh mozzarella when it has just been made. Fresh mozzarella is the best eater as soon as possible and only has a shelf life of a few days. Fresh mozzarella purchased in stores, typically round and packaged in water or whey, is similar but has preservative and add-ins to prolong its shelf life. Fresh mozzarella is very moist and slightly stringy in consistency. It is smooth and creamy when sliced into sections and is best served fresh and raw in salads, antipasto platters, or just drizzled with olive oil. Mozzarella that is purchased in most markets is firm and has a rubber-like consistency. It is perfect for melting and to most, is simply the only mozzarella they know. This mozzarella is made to a great capacity factories and has a much longer shelf life than the fresh kind. Though it does work well in pasta dishes and on pizza, it isn’t comparable to the flavor of authentic, fresh mozzarella. Nutritionally speaking, the only difference between the two is the sodium; however, you can now purchase low fat options of store bought mozzarella. What’s the Difference in Mozzarella made with Buffalo Milk and Cow’s Milk? Traditionally mozzarella is made of milk from water buffalo. But, not just any water buffalo. Mozzarella Di Bufala is made from concrete water buffalo that are only found in the northern parts of Italy, and they are domestic water buffalo. Mozzarella made from buffalo milk is higher in calcium, protein, and lower in cholesterol than that made from cow’s milk. Authentic buffalo mozzarella is produced under strict regulations in Europe. Authentic buffalo mozzarella will bear the “Mozzarella di BufalaCampana” trademark and will come with a DOC status that was granted in 1993. The company was later granted protected geographical status in 2008. Buffalo mozzarella is soft, sweet, and has a semi-elastic like texture to it. It has a much whiter appearance, is less firm, and feels spongier. The mozzarella made from the water buffalo tends to have a stronger flavor and is tangier. You won’t find water buffalo mozzarella sitting on a market shelf, though. It must be special ordered and can cost more than double that made of cow’s milk. 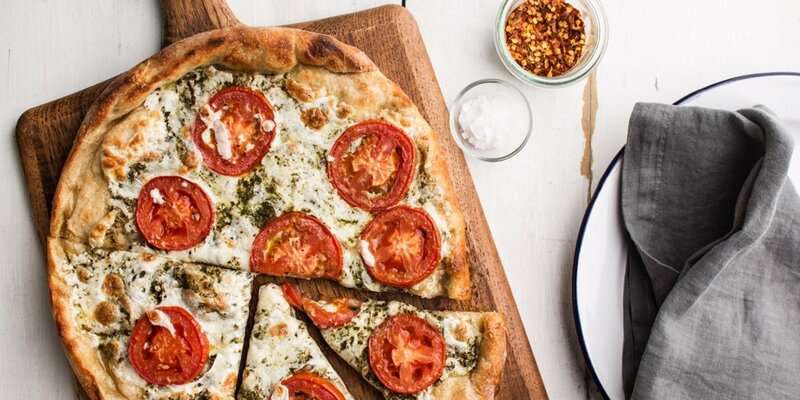 Cow’s milk mozzarella is what most people know and love. It is far easier to find, and you can even make it at home in less time than most trips to the store. Cow’s milk mozzarella has a much sweeter flavor and is lest tangy. When side by side, the difference in the two mozzarellas can easily be tasted. Many people prefer one over the other, however, In most instances, it just depends on what is more in your comfort zone and what you eat most often. Regardless which of the two you prefer the most, they will give store bough mozzarella a run for its money any day. 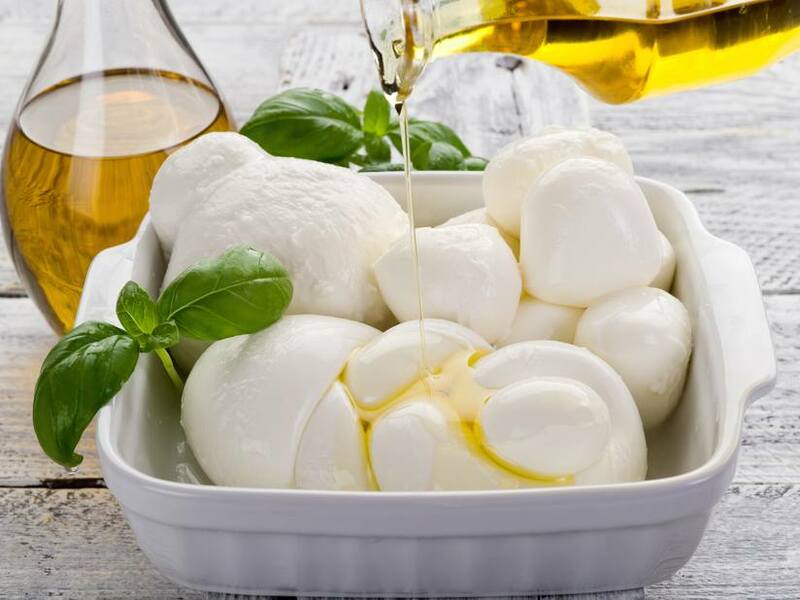 The overall texture, flavor, and compatibility of fresh mozzarella is vastly different from the rubber variety produce in massive factories for bulk distribution. Fresh mozzarella is always better when it is eaten fresh, the same day and preferably before it has even been chilled. 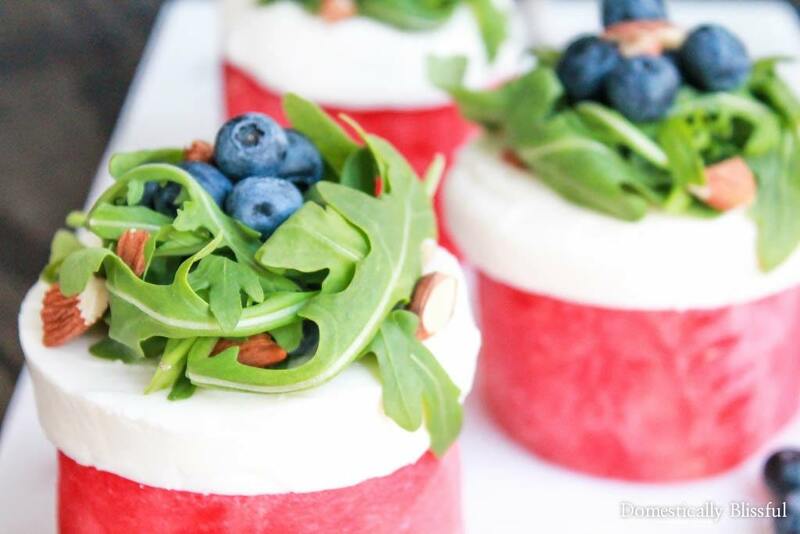 If you purchase fresh mozzarella, it will most likely be in a container of whey to keep it moist and fresh. If you buy it in an air sealed package, you should store it in a bowl of cold water in the refrigerator. Before you serve, you should allow to mozzarella to set out at room temperature for at least an hour. Fresh mozzarella should be eaten with no more than 2-3 days but is best the day that it is made or the day that you purchase it. Fresh mozzarella is not suitable for long term storage or freezing. You should only purchase the amount that you need and always check the date and buy the freshest mozzarella possible. If you are unable to consume your fresh mozzarella within 1-2 days and are insistent on trying to freeze it, you should tightly wrap it in plastic wrap. 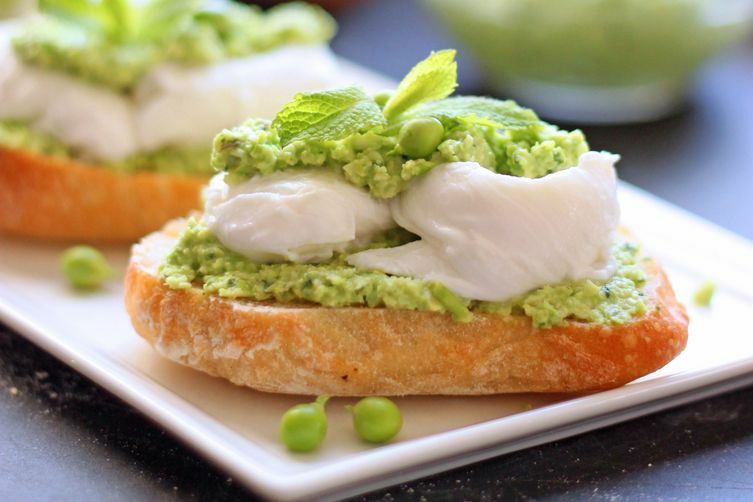 The flavor and texture of fresh mozzarella that has been frozen will deteriorate. You may still enjoy it once thawed, but it will no longer be comparable to its original glory. Once mozzarella has been frozen, it is best used in cooked dishes rather than being consumed raw. The frozen mozzarella should be thawed in the refrigerator. While it will alter the flavor and texture of the mozzarella, it won’t cause the same damage that allowing it to sit in a refrigerator will. Some attempts have been made to restore frozen or overly refrigerated mozzarella to its monster form. The best method has been soaking the mozzarella in the warm salted cow’s milk. The flavor may be altered a bit from the milk, which is where the salt comes in. It helps the mozzarella retain its flavor while it is soaking. If you are curious about other ways to store fresh mozzarella in opposition to good old fashioned way, there are other techniques that many people prefer. One of which is storing it in olive oil. You can you just plain olive oil or experiment with infused oil, adding seasonings and spices, or even storing it in olive oil with fresh herbs such as basil. Another option that many people like is storing in a salt brine or in by salting it for preservation. The salt will pull a good bit of the moisture out of the mozzarella, causing it to firm up and have a less delicate texture than eating it as soon as it is made. The salt will also alter the flavor some, but for those who prefer it flavored, this isn’t typically an issue. Marinated mozzarella can be purchased in many delis and olive bars. This method of flavoring the mozzarella or marinating it is the same as storing it in seasoned olive oil. You should still consume it quickly; the flavoring from the marinating won’t take long, and you will still want to consume it at its optimal freshness. This method is great when you are pairing your mozzarella with an antipasto platter or cheese plate. If you have the chance to get your hands on fresh, made that day, mozzarella; chances are, you will enjoy it far more than anything you have purchased at a grocery store. 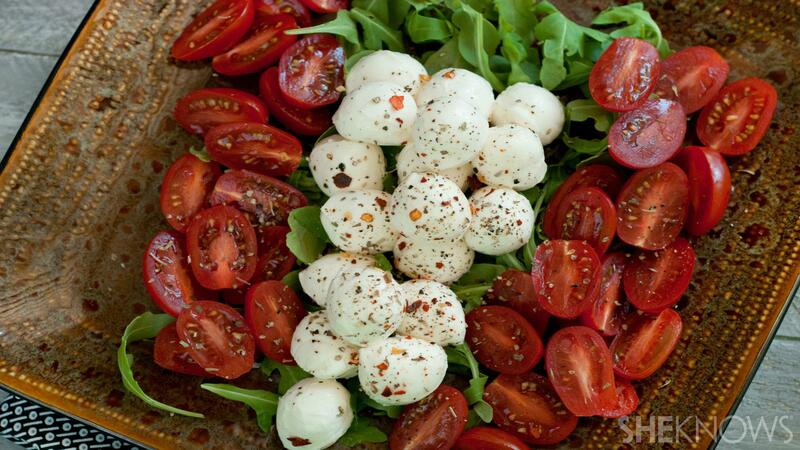 If you can’t find fresh mozzarella, try your hand at making it at home. It is incredibly easy to make, takes a little time and is the best way to ensure that you are eating the freshest mozzarella possible. Have you tried storing or marinating your mozzarella at home or making it fresh in your kitchen? Leave us a comment and let us know what has worked best for you!